Andy Brain made a rainbow by using a coffee pot, flashlight, and a dark room! Click here to see how he did it! For more rainbow science click here! You can make a rainbow with a garden hose, compact disc, or a drinking glass. 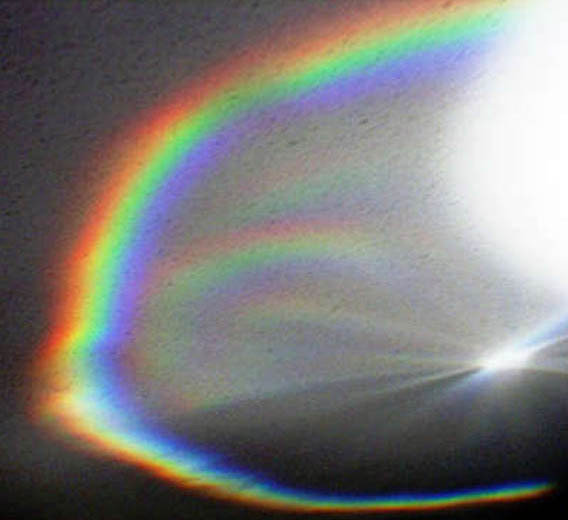 The easiest way to make a rainbow is with a prism, if you have one.